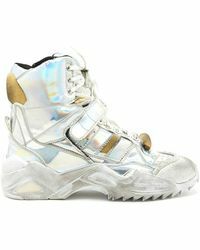 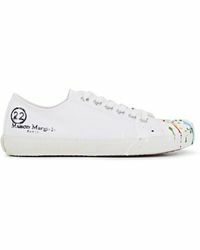 Bright colors, cut-out designs, splashes of animal-print and platform soles all signify a Maison Margiela sneaker. 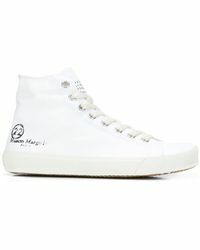 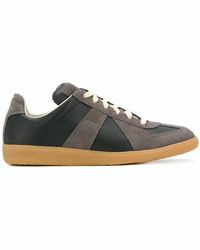 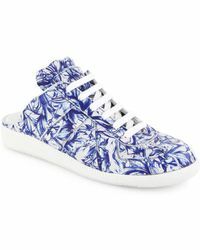 The Paris-based fashion house's line of women's sneakers combines classic styles with bold new designs, with everything from high-tops, low-tops and slip-on sneakers recreated with contemporary new fabrics, prints and colors. 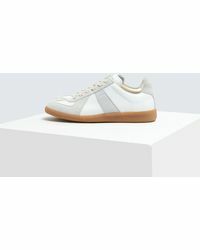 Explore the Maison Margiela sneaker collection for slip-ons in gold leather, low-tops in graffiti print, or leather high-tops in futuristic designs.